The world’s eight top auto manufacturers are releasing their U.S. new-car and light-truck sales figures for the first month of 2014 throughout the day on Monday. Forecasters predict total passenger car and light-truck sales volume at between 1.03 million and 1.06 million units. Last year, total U.S. new auto sales came in at 1.04 million cars, largely due to strong pickup truck sales amid a steep rise in housing starts at the time. The seasonally adjusted annualized rate (SAAR) is forecasted by Edmunds.com to be 15.6 million units, while J.D. Power & Associates and LMC Automotive see it increasing to 15.9 million, up from 15.2 million in January of last year. The SAAR is a 12-month running tally, so even a softer-than-expected January isn’t likely to have much of an effect on 2014 sales expectations. A shortfall last month could easily be attributed to the colder-than-usual weather that swept through many parts of the country. In other words, if sales were softer than expected in a typically soft month, blame it on the weather. Scroll down for a breifing on each of the Big 8 automakers monthly sales reports. The South Korean auto-making siblings announced Monday U.S. combined sales of 81,016 units, up 1.3 percent from the same month last year. Both Hyundai and Kia grew sales. They join Chrysler and Nissan in managing to eke out volume growth among the top eight auto companies in a historically soft month that was hit with unusually strong winter weather. Hyundai sales came in at 44,005 units, a 0.7 percent increase on growing demand for its best-selling Elantra sedan, which was up 26 percent last month to 15,326. “While year-over-year sales were up slightly, January was a bit of a challenge due to weather issues across the country, making us wonder how many more units we could have sold,” Bob Pradzinski, vice president, national sales, said in announcing the sale figures. Hyundai Sonata mid-sized car sales went almost exactly the other direction, down 26 percent to 9,815 units. Ther Hyundai Accent subcompact and Santa Fe crossover also saw sales grow modestly to give Hyundai a year-over-year increase. Kia Motors also grew sales, to 37,011, by 2 percent, on the strength of its Soul compact (up 9.6 percent to 8,092) and Rio subcompact (up 28 percent to 3,162) and despite a decline in its bestselling Optima sedan, which fell back into four-digit territory by 11 percent to 9,979 units. “After delivering seven all-new or significantly redesigned vehicles in 2013, the brand’s aggressive new product cadence continues this year as part of a long-term strategy,” the company said in announcing the sales figures. UPDATE 2:56 p.m. EST: American Honda Motor Co. The U.S. subsidiary of the Tokyo-based automaker said Monday it delivered 2.1 percent fewer vehicles to U.S. consumers in January compared to last year. Total sales, including the luxury Acura brand, came in at 91,631 units, comprised of a 4 percent decline in Honda brand vehicles and a 14 percent increase in Acura. Accord and Civic car sales fell by 14 percent (to 20,604 units) and 0.3 percent (21,824) respectively. Sales of the CR-V crossover, the third best-selling model in Honda’s product line, grew 2.4 percent to 18,232 units. Like others, Honda attributed the poor performance in a historically slow month on polar vortexes. “Record cold weather in several of Honda's stronghold markets in Eastern and Midwestern parts of the country helped cool sales across the board,” said the company in its sales announcement. Acura sales were bolstered mainly because of strong demand for the Acura MDX mid-sized crossover, up 65 percent to 4,241 units, and the RDX compact crossover, which saw demand rise nearly 10 percent to 2,730. Honda’s average transaction price increased 3.8 percent from January 2013, to $28,070. The company also drastically increase incentive spending compared to last year on stiffer competition, to $1,769. Honda average per-sale cost to lure customers remains well below the industry average of $2,452, according to data from TrueCar. Only Hyundai/Kia spent less on incentives last month. UPDATE 2:18 p.m. EST: Toyota Motor Sales (TMS), U.S.A., Inc. The U.S. subsidiary of the world’s top auto company (which topped 10 million units in global production last year, an industry first) released its full sales report on Monday afternoon showing a 7.2 percent drop in sales from last year to 146,365 units. Every model in the company’s car division saw declines, with the popular Corolla/Pruis/Camry triad of models declining a combined 18.5 percent. These three models made up 86 percent of Toyota car-division sales in January compared to 85 percent in January of last year. Toytoa’s SUV division grew sales 15.3 percent on strong demand for the RAV4 compact crossover (up 45 percent to 16,880) and the Highlander midsized crossover (up 21 percent to 10,676). Toyota truck sales floundered, down 4.8 percent as Tacoma sales retreated (down 15 percent to 9,842) more than Tundra sales grew (up 13 percent to 7,890). The company’s luxury Lexus car division grew sales grew 5 percent on rising demand for the IS entry-level luxury car, sales of which more than doubled from last year to 3,048 units, the CT hybrid hatchback (up 29 percent to 1,290) and the GS luxury mid-sized car (up 18 percent to 1,300 sells). Sales increased for the three Lexus SUV models – the RX crossover, the GX mid-sized SUV and the LX full-sized – which grew a combined 14.7 percent to 7,406. Toyota’s U.S. average transaction price increased 4 percent to $30,868 compared to January 2013, according to TrueCar, while incentive spending increased only a slight 0.4 percent and remains the thrid-lowest rate of spending on deal-sweeteners after Honda and Hyundai/Kia, at $1,843 per unit sold. UPDATE 11:57 a.m. EST: Nissan U.S.A. 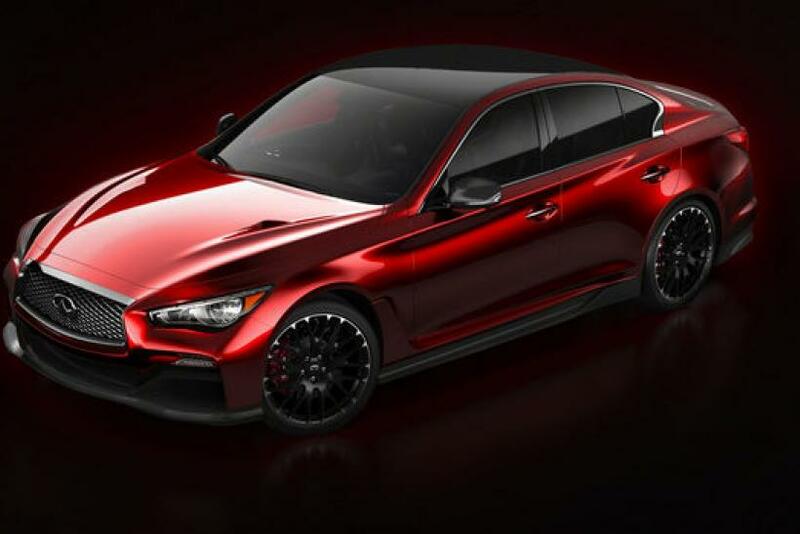 The U.S. subsidiary of the Yokoshima-based Japanese automaker said Monday it saw a nearly 12 percent jump in sales on strong demand for its luxury Infiniti brand and growth in demand for the Altima sedan and the Rogue compact crossover. The Altima and the Smyrna, Tenn.-manufactured Rogue made up 40 percent of all Nissan vehicle sales (including Infiniti) last month. Infiniti sales increased over 26 percent to 8,998 units on a nearly 21 percent jump in demand for the QX60 mid-sized luxury crossover, to 2,380 vehicles and despite a 12.4 percent decline in demand for the QX80 full-sized SUV, to 1,023 vehicles. Japanese brands tend to do better on the west coast compared to other parts of the country, so the effect of the unusually cold weather that hit much of the Midwest and east coast was diminished. Nissan’s average incentive cost per sale declined by $128 in January 2013 compared to the same month last year, to $2,260. Detroit-based General Motors reported a nearly 12 percent decline in sales in January, compared to the same month last year, to 171,486 units. GM estimates the SAAR at below the low end of analysts’ forecasts, but about 100,000 units above last January’s SAAR of 15.2 million units. Sales declined more than expected, but the 12-month running average is still higher than last year, boosted by robust 2013 sales. Sales declined in all four of GM’s groups with its popular Chevrolet Silverado and GMC Sierra pickup declining 17 percent combined. Together, these pickup trucks made up just over 23.2 percent of all GM sales compared to last year's January sales, when they made up just under 24.8 percent of all sales. Chevrolet sales declined 13.3 percent. Cruze sedan sales marked a noticeable increase of 15.9 percent to 16,828 units. On the other hand, the Malibu, Impala and Equinox saw significant double-digit declines. GM continued as usual to spend more than the other seven top automakers in its efforts to generate U.S. sales. But incentives have declined by 3.6 percent compared to January 2013, to $3,376 per sale, according to TrueCar's forecast. GM’s average transaction price has helped offset the per-sale cost of incentives, increasing 4.3 percent to $34,157. Meanwhile, GM inventory is high with an 81-day supply; 60 days is considered ideal. Large inventories adversely affect profits because it costs money to keep cars on lots. The need to sell down high inventories also slows down manufacturing. GM began delivering late last month to dealers the all-new 2015 Chevrolet Tahoe and Suburban, and the GMC Yukon and Yukon XL, which should benefit sales moving forward. UPDATE 10:39 a.m. EST: Volkswagen Group of America Inc. The world’s third-largest automaker had little in its January performance in the U.S. to be proud of, its grin-inducing Super Bowl “Wings” advertisement notwithstanding. The ad, if you haven't seen it yet, features a German engineer flatulating a rainbow that has been ubiquitous on YouTube in recent weeks. While the ad is funny, Volkswagen’s January sales numbers are not. The U.S. subsidiary of Volkswagen AG (FRA:VOW) once again saw declines in nearly all of its vehicles. Volkswagen’s minis, the Golf, the GTI and the Golf R, continue to hemorrhage sales, which fell 35 percent compared to the prior January on strong offerings from competitors, especially Ford. Jetta sales fell 7.2 percent to 9,768 units while the Passat sedan sales volume retreated almost 30 percent to 6,236 units. Volkswagen saw its market share decline in the U.S. last year. Average transaction prices for Volkswagen vehicles in the U.S. were down 2.5 percent from 12 months earlier as the company seeks to be more price-competitive in the market. Incentive spending is about where it was last year, at an average of $2,101 per transaction, below the Big 8 average of $2,452, according to TrueCar's forecast for the month. Ford sales fell 7.1 percent to 154,644 vehicles in January thanks to “difficult weather in our largest sales regions,” said John Felice, Ford vice president for U.S. marketing, sales and service, in announcing the monthly figures on Monday morning. The Dearborn, Mich.-based owner of the Lincoln luxury brand saw declines in all segments except its luxury Lincoln brand, most notably a slight. 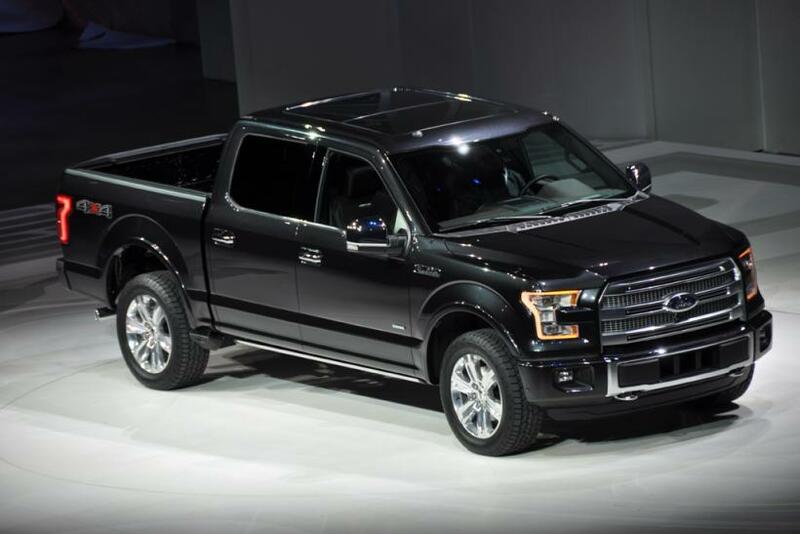 0.7 percent drop in F-Series pickup truck sales, to 46,536 units. The F-Series has been the most popular vehicle in the U.S. for more than three decades and made up 30 percent of all Ford auto sales last month. Ford Escape and Explorer SUV sales retreated by 2.4 percent (to 19,459 units) and 19.6 percent (to 11,696), respectively. In the passenger car category, sales of the Focus compact declined nearly 26 percent to 12,003 cars while Fusion sedan sales fell 7.5 percent to 20,717. All of the brands mentioned above represented a combined 74 percent of Ford vehicles sales last month. Sales in the luxury Lincoln group increased 42.5 percent, led by growth in MKX midsize crossover and MKZ luxury car sales, which grew to 2,479 and 2,122 units, respectively. Ford has grown incentive spending by nearly 15 percent compared to January 2013, to $3,123 per transaction, according to automotive pricing and information provider TrueCar's monthly forecast. That’s above the Big 8 average of $2,452 per sale. Ford average per-unit transaction price edged up 2 percent to $32,839 in the same-period comparison. Starting off the monthly sales-reporting day as usual is Chrysler, which began the year announcing that Italy’s Fiat SpA (BIT:F) was acquiring the 42 percent of Chrysler it didn’t own in a $3.65 billion deal that CEO Sergio Marchionne says will create a more unified ownership structure. The owner of the Jeep and Dodge brands said U.S. buyers purchased 127,183 of its vehicles in January, an 8 percent increase from the same month last year. 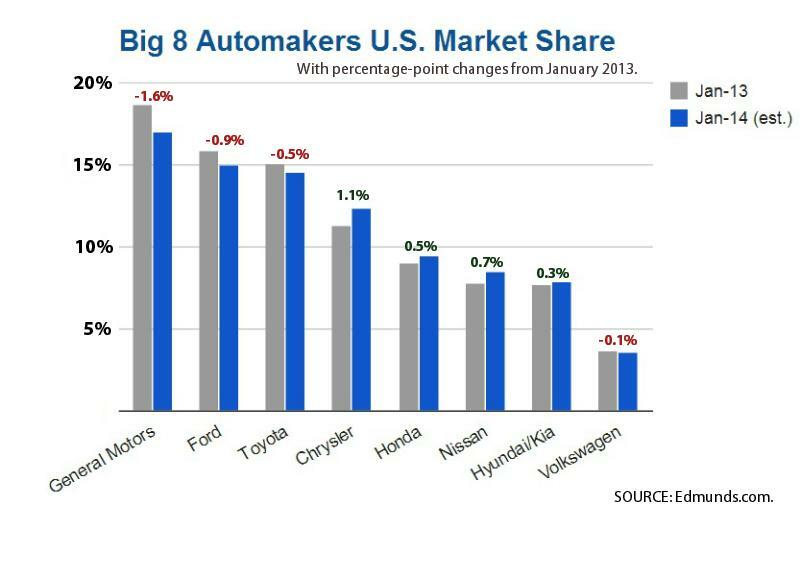 If other automakers follow this pattern, then January auto sales will have beaten expectations. The company saw a 22 percent increase in Ram truck sales, to 25,071, and the all-new 2014 Jeep Cherokee, which went on sale in the U.S. in December, fared well with 10,505 units. Grand Cherokee sales increased 10 percent, to 12,207. These three models combined made up more than 37 percent of total U.S. sales volume last month. Last Wednesday, the Auburn Hills, Mich.-based automaker reported net income of $2.76 billion for 2013, up from $1.67 million the previous year, on a 9.7 percent increase in net revenue, to $72.14 billion as the company increased its market share in the U.S. last year. The Dodge group saw declines in all models last month except the Caravan minivan, which saw sales increase 47 percent to 7,290, and the Durango SUV, which grew sales by 22 percent to 4,128 units. Sales of the Chrysler 200 midsized sedan increased 23 percent to 10,912 units ahead of the debut of the 2015 model expected out in the second quarter. Chrysler made these sales while reeling in incentive spending by nearly 20 percent compared to last January and 10 percent from December, according to automotive pricing and information provider TrueCar. Chrysler ended the month having spent $2,623 on average per sale on rebates and other deal sweeteners. The average transaction price increased from last January, too, by 7.1 percent to $32,154.